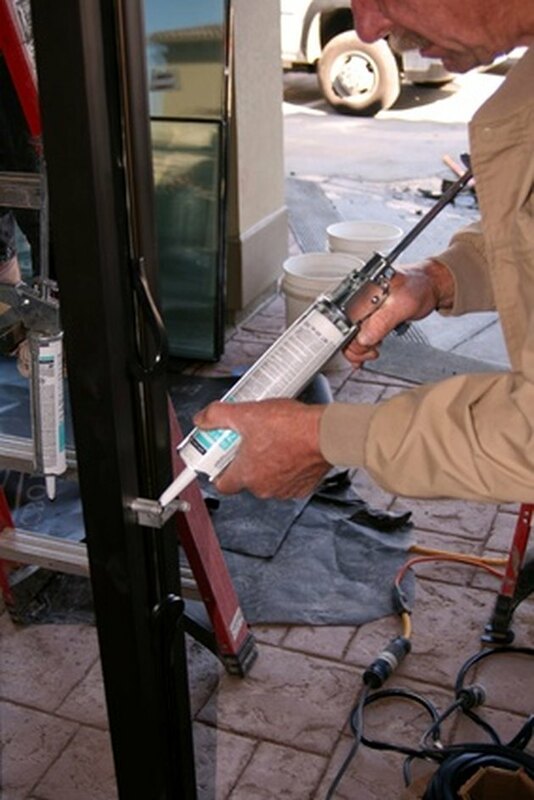 Caulk is a flexible sealant used to fill cracks and seams in homes and other structures. Caulk can be used to make a home more energy efficient by sealing air leaks. It is also used in areas prone to water usage to waterproof cracks. Silicone caulk is used primarily in bathrooms and kitchens due to its high adhesive quality. It can also be stretched or compressed after it has cured, or dried. The only drawback to using silicone caulk is the sticky texture that it may leave behind. This is usually fixable with some quick troubleshooting techniques. Caulk tubes are placed in a gun for easy use. Check the expiration date of the caulk. The expiration date is usually found on the side of the tube under the directions. If the caulk is expired it will not fully cure. This will cause it to have a sticky residue. Caulk that is expired will need to be replaced. Give the caulk more time to dry. Caulk that has not completely cured will have a sticky consistency. Typically, caulk will completely cure within 24 hours of application. In a cool, dry atmosphere, caulk could take as long as 48 hours to completely cure. Wipe the area with isopropyl alcohol to remove oily residue due to uncured silicone. Cured silicone will need to be scraped off the surface using a razor blade or other sharp implement.